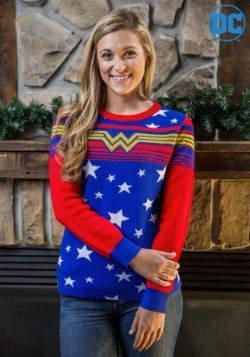 Whether you’re dashing through the snow to get those last minute gifts for your loved ones, or you’re heading out to sing carols in the neighborhood, the holidays are the perfect time to let your heroic side shine! 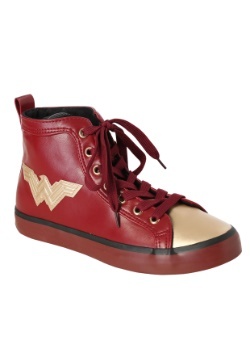 It’s time to dress up in some officially licensed WONDER WOMAN™ holiday wear. 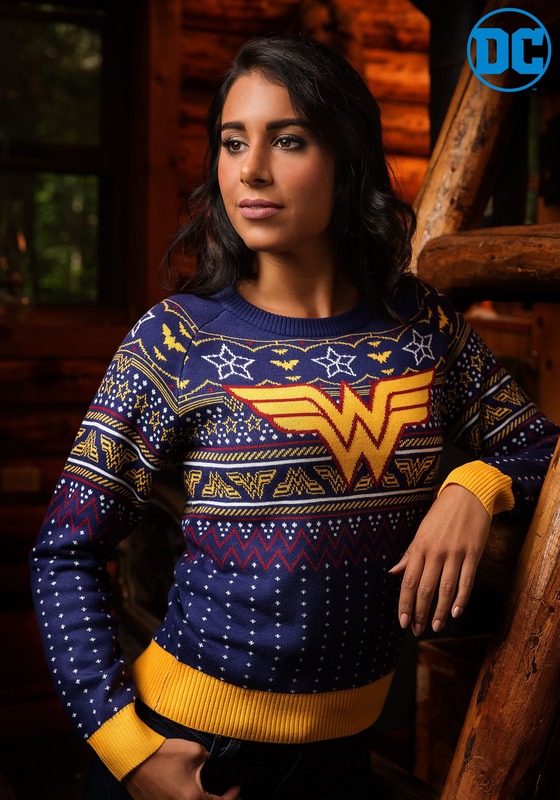 This Wonder Woman pullover sweater brings together the iconic style of Wonder Woman with the holiday spirit of an ugly Christmas sweater. 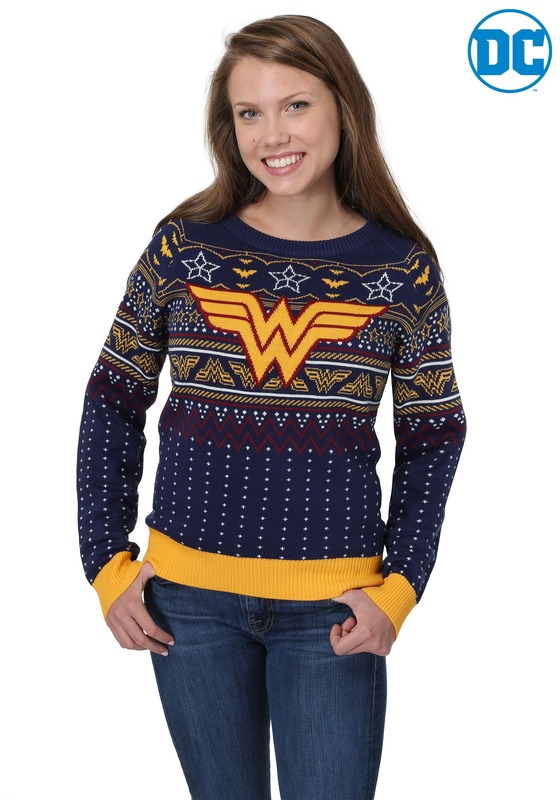 The blue sweater has a bright yellow Wonder Woman symbol designed into the front and it also has plenty of star patterns throughout. 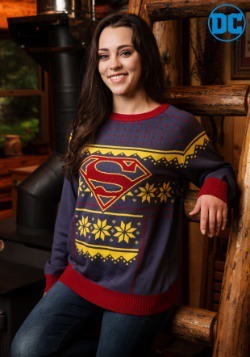 It’s great for when you want to feel cozy and heroic at the same time. 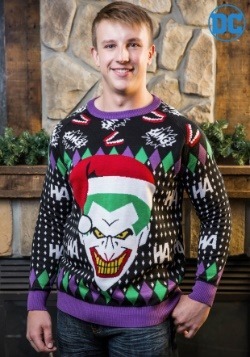 This sweater is so awesome! 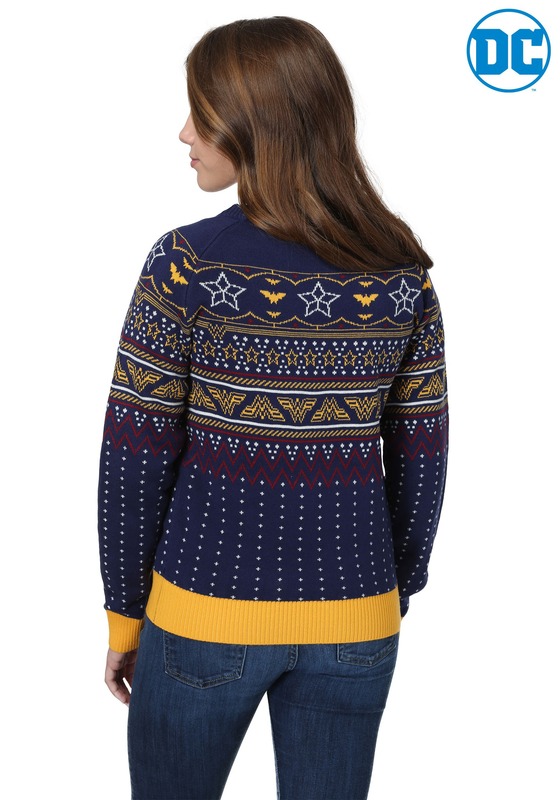 I’ve gotten a lot of compliments on it! 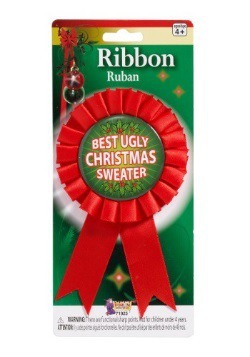 It’s warm and exactly what I wanted! Warning it does run a tad small so if you are concerned go a size up! !